'Dancing With the Stars' season 25: First official contestant revealed! 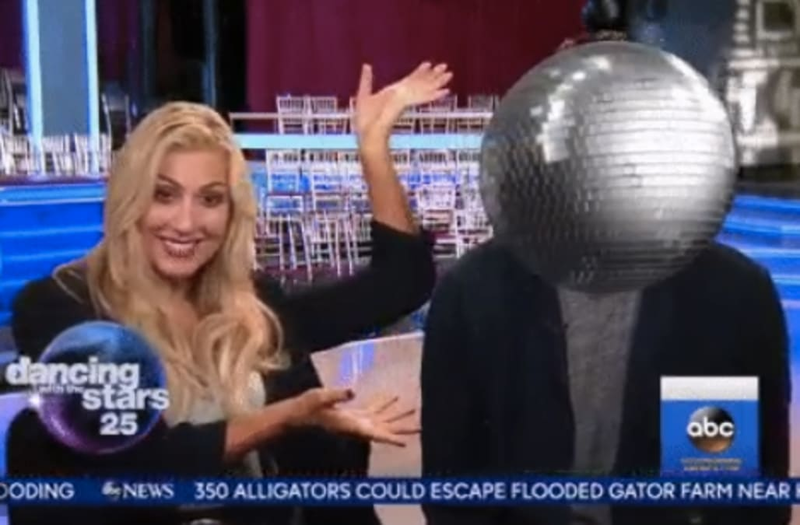 We have our first official cast member for the upcoming 25th season of "Dancing With the Stars." It was announced on "Good Morning America" on Wednesday that "Property Brothers" star Drew Scott will be competing for the mirrorball trophy this season. He'll be paired with pro Emma Slater. The reveal comes just about a week after rumors emerged that one of the "Property Brothers" would be competing on the hit ABC reality competition show. Scott and Slater appeared on the morning show via satellite from Los Angeles, where the HGTV star revealed that his brother also wanted to compete on the show -- but couldn't because of an injury! "Jonathan is so excited," Drew said of his brother. "Jonathan would be here to do it as well [but] he hurt his shoulder. He says instead of beating me on Dancing With the Stars, he decided to let me have this. But no, he'll be supportive." In fact, Jonathan had taped a video message for the pair where he reminded Drew that he was "the brother with the rhythm." Pro Mark Ballas will also be joining "Dancing With the Stars" in September, after two seasons away from the show. The rest of the cast will be revealed on "Good Morning America" on Sept. 6 ahead of the Sept. 18 premiere.